For centuries, great artists have been drawn together in friendship and in love. In Artists in Love, curator and writer Veronica Kavass delves into the passionate and creative underpinnings of the art world’s most provocative romances. From Alfred Stieglitz & Georgia O’Keeffe to Anni & Josef Albers to Jackson Pollock & Lee Krasner, Kavass’ graceful and daring text provides a generous glimpse into the inspiring and sometimes tempestuous relationships between celebrated artists throughout the 20th and 21st centuries. From poetic beginnings to shocking endings (and vice-versa), some artist-couple archetypes are enduring and collaborative, yielding astonishing parallel bodies of work, as with Robert & Sonia Delaunay and Christo & Jeanne-Claude. Others are adoring and explosive, such as Frida Kahlo & Diego Rivera and Robert Rauschenberg & Jasper Johns. Essays revealing what compelled these dynamic artists to partner, how their pairing influenced their work, and why their love may have faltered, are accompanied by lush illustrations of their art and documentary photographs. 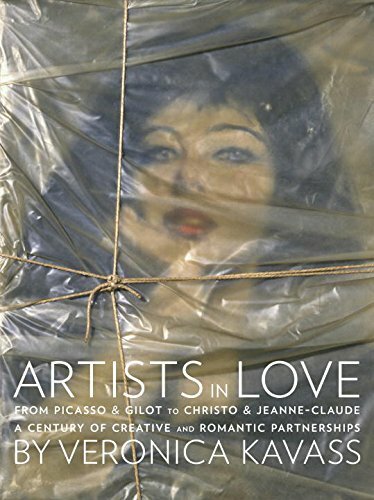 Artists in Love won the Independent Publisher Book Awards 2012 Gold Award in the Fine Arts category and was a ForeWord Reviews 2012 Book of the Year Award Finalist. Moderated by Kristi McMillan, adult programs manager. Meeting each second Tuesday at 12pm, this monthly discussion is a place to exchange ideas about readings that relate to artworks and the art world, and to learn from and about each other. Pick up some tasty local fare at the Malaprop’s Café to make the most of your midday break! Books are available at Malaprop’s for a 10% discount. To add your name to our Discussion Bound mailing list, email Kristi McMillan, adult programs manager, or call 828.253.3227 x122.